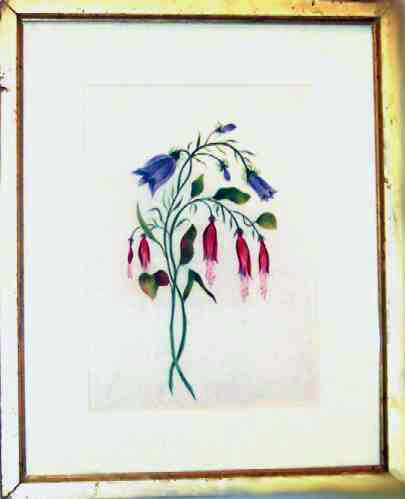 Presented here, three Watercolors from a New England Scrapbook dated 1835. 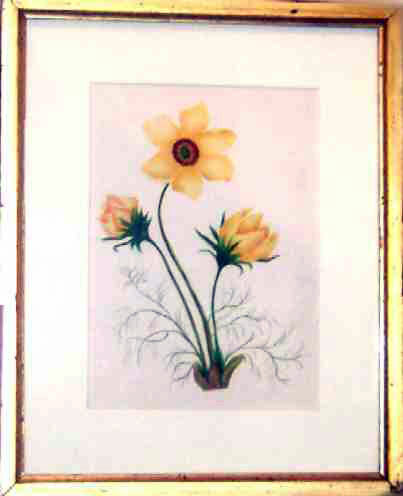 They are conservation mounted and framed in lemon gold frames (liners) that measure 9" x 11". 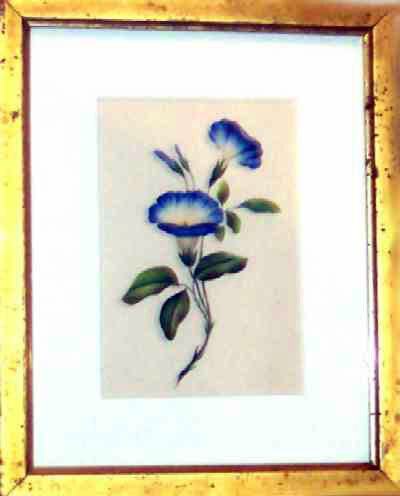 They all are in excellent condition and the paper that they are painted on is identical in color not as shown in the pictures. They camera is playing tricks here. Priced individually at $375.00 each.